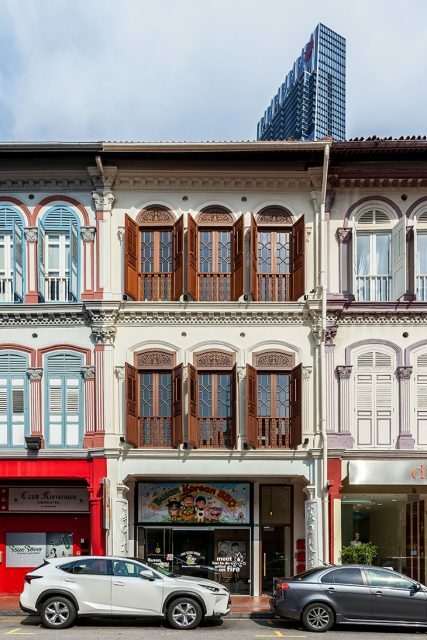 JLL announced today that it has launched a newly restored Tanjong Pagar shophouse for sale. The 3-storey shophouse with attic is situated at 67 Tanjong Pagar Road. Located along the bustling Tanjong Pagar Road, the Tanjong Pagar shophouse commands an excellent frontage with high visibility. The property occupies a land area of 1,722 sf and has an estimated built-up of 4,477 sf. Under the 2014 Master Plan, the land is zoned “Commercial” and is located within the Tanjong Pagar Conservation Area. The Tanjong Pagar shophouse has been fully-leased and is currently approved for F&B use on the ground floor and offices on the upper floors. The ground floor is currently occupied by a popular Korean restaurant, Busan Korean BBQ. Having recently undergone an approximately $1 million asset refurbishment project, the Tanjong Pagar shophouse has been completely transformed with newly refurbished building interior and the installation of brand new M&E, lighting and air-conditioning systems. The tastefully-designed interiors feature generous ceiling heights, column free layouts, regular spaces and trendy modern finishes, while retaining the charm of an old shophouse. The indicative guide price for the Tanjong Pagar shophouse is $15 million, which reflects about $3,350 psf on the estimated built-up area. As the Tanjong Pagar shophouse sits on land zoned for commercial use, foreigners are eligible to purchase the property. There is also no Additional Buyer’s Stamp Duty (ABSD) or Seller’s Stamp Duty (SSD) imposed on the purchase of the property. The Tanjong Pagar shophouse will be especially attractive to investors because of its location, as investment properties of such nature are scarce in that area. The post Tanjong Pagar shophouse launched for sale at indicative price of $15 million appeared first on iCompareLoan Resources.